I followed their Facebook page for a while and i have been looking forward to taste it since then. 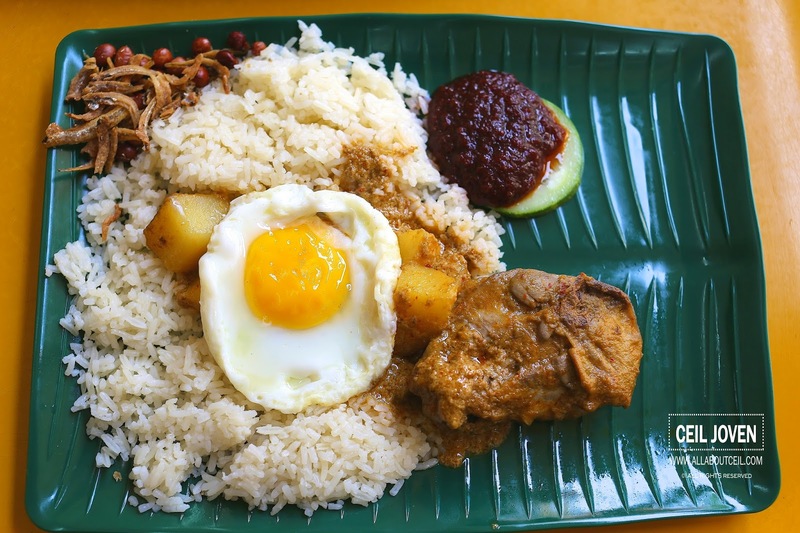 It is stated there that their mission is "to serve long the long lost authentic and fragrant Nasi Lemak, Nyonya Curries and Rendang". 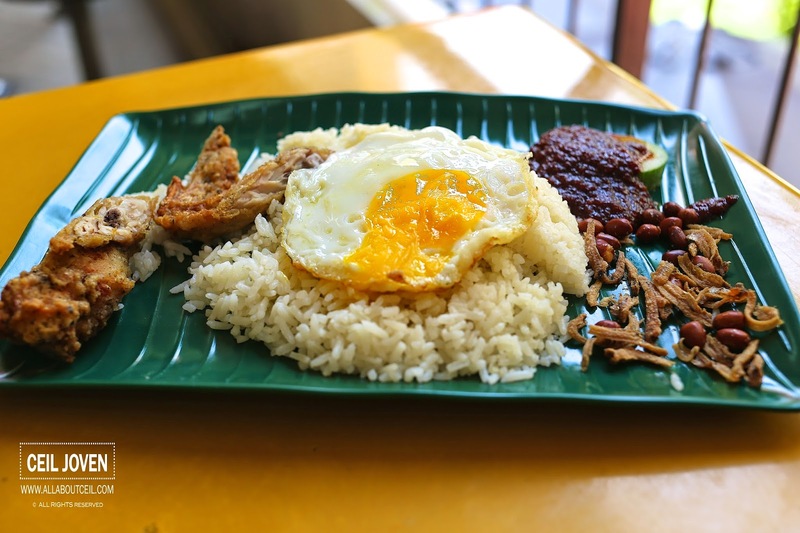 It mentioned that their Nasi Lemak has a long history. It started at the Canteen of a Police Station at Pork Dickson then to the current location. 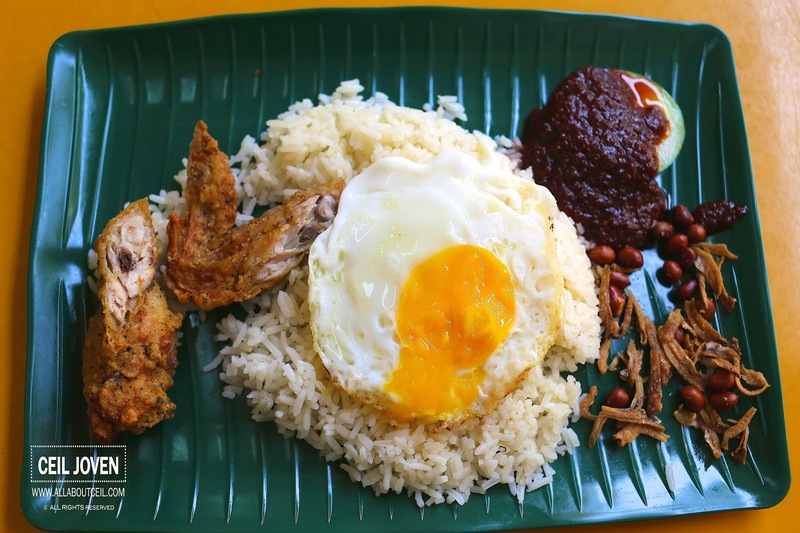 The Chef met the kind Auntie that imparted the cooking skills of Nasi Lemak and Curry Chicken to him. That was the turning point of his life when he decided to quit his job as Property Agent and ventured into the Food & Beverage industry. 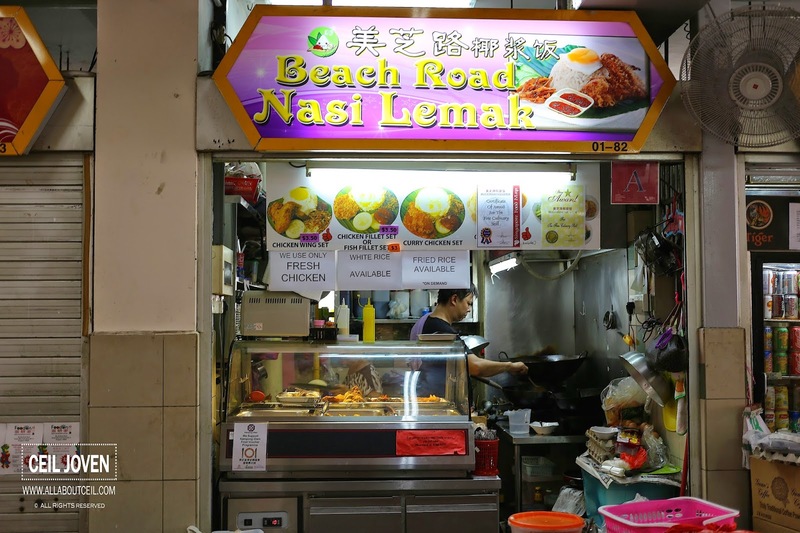 He was newly wedded then with a pregnant wife but with her blessing, he started experiencing with the recipe and creating new recipes before setting up this stall. I was their only customer at about 11.30 pm when i made an effort to be there for an early lunch. I was first greeted by a friendly Auntie with the Chef smiling at me while busy cooking right behind. I decided to go with their standard sets though there were additional dishes on display to go along. The Chicken Curry Set ($4) and Fried Chicken Wing Set ($3.50) are their popular choices. The rice was nicely cooked to give it a grainy texture with a distinctive coconut fragrance. As for the chilli, though the level of spiciness is not to be underestimated but it has nicely complemented the dish rather well. 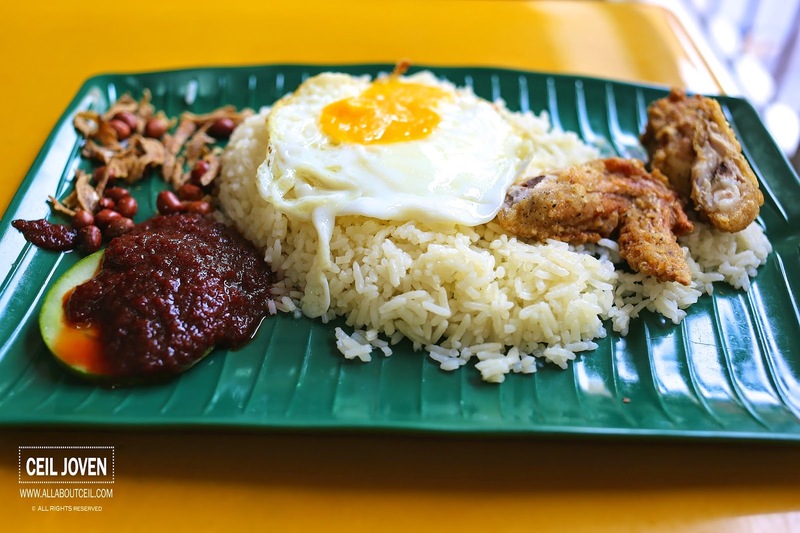 The chilli is definitely one of the important factors to determine the worthiness of the Nasi Lemak other than the rice. And, for this, it is worth it. 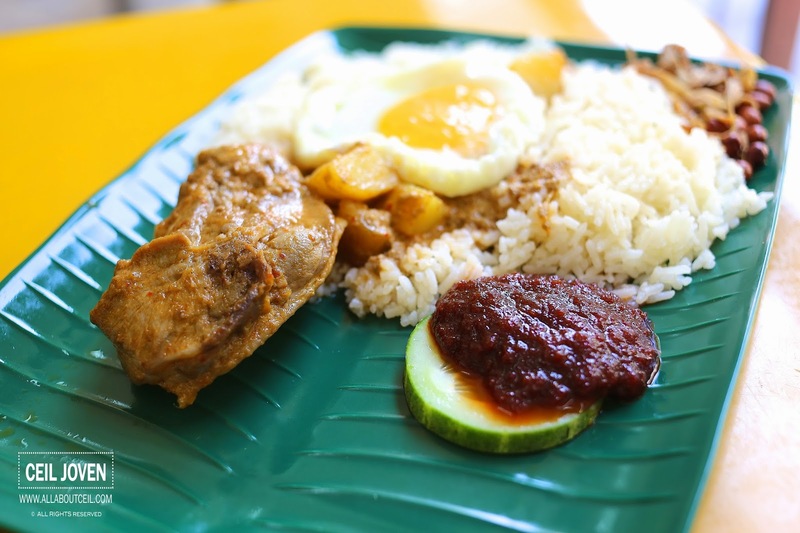 It is not common to serve Nasi Lemak with Curry Chicken. I was asked which part of the chicken i wanted though the Auntie suggested breast meat. I guess that is likely to be the best part since the Auntie recommended it. It was served along with cubes of potato and a fried egg. It would be nicer if most gravy was given but i guess not everyone like it since it is likely to overwhelm the coconut taste of the rice. Apparently, the Curry Chicken was quite disappointing, the texture was tender but the chicken tasted quite bland. It did not have much of the curry taste. The Fried Chicken Wing Set fared much better than the Curry Chicken Set. The chicken wing was nicely marinated to give it the flavour and fried well to give it the texture. 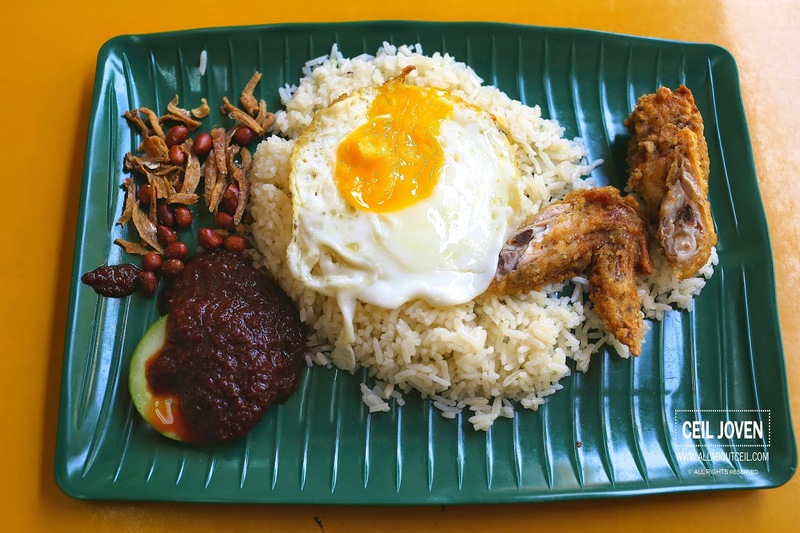 It tasted quite different from most of the chicken wings at other Nasi Lemak stalls. Though there is still room for improvement for those that i tried but it is definitely heartening to encounter such a passionate Chef in wanting to serve his best to his customers. I am looking forward to visiting and hoping for a better standard this time.